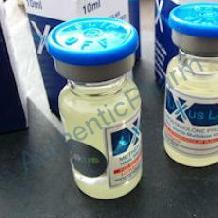 LIXUS Testosterone CYPionate 300 is ideal for beginner or pro. Following injection the drug is designed to provide a sustained release of testosterone into the bloodstream for approximately 2 - 3 weeks. As with all testosterone injectables, LIXUS Testosterone CYPionate is highly favoured for it�s ability to promote strong increases in muscle mass and strength . LIXUS Testosterone CYPionate 300 like LIXUS Testosterone enanthate 300 is excellent to incorporate into bulking phases of training for raw mass. It�s excellent used on it�s own however you may wish to stack it with it with other LIXUS products for a stronger effect, like LIXUS anavar, LIXUS turinabol, or LIXUS Deca.